Having a multi-monitor setup is not as simple as attaching a second display to your system. In order to fully realize the potential that having more than one monitor unleashes, you need to be able to fine-tune your setup. And to do that, you need DisplayFusion. DisplayFusion offers you powerful features like multi-monitor taskbars, titlebar buttons, and hotkeys that are fully customizable! 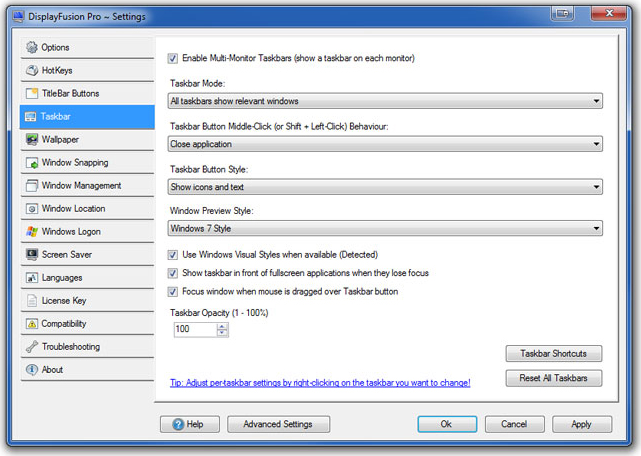 Tired of mousing over to your primary monitor to get to a taskbar? With DisplayFusion you'll enjoy a taskbar on each monitor, complete with auto-hide, custom sizing and positioning, and more! 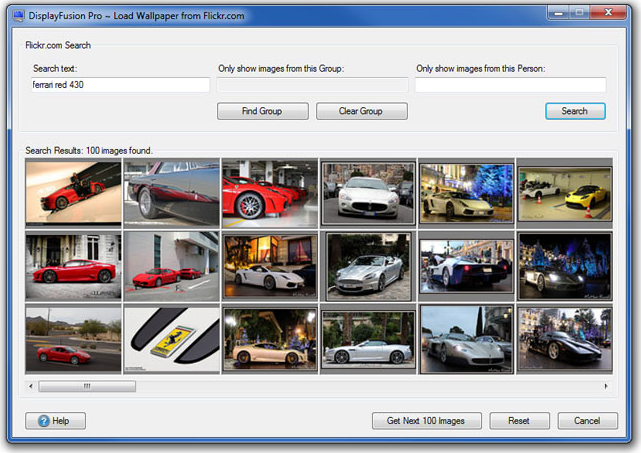 Plus, with the TitleBar Buttons, you can move and resize your windows across any of your monitors quickly and easily. Too much work? Assign Hotkeys to perform the same actions! Have you had a collection of super-resolution, super wide images that you've just been dying to use as wallpaper? DisplayFusion is here, with the ability to tile, stretch, scale, crop, and position your images with such precision, everyone in your cubicle farm will be jealous! While we're on the subject of wallpaper, let's talk about screensavers. 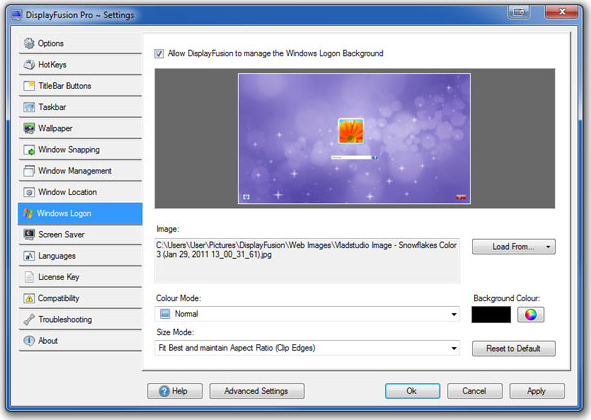 With DisplayFusion, you have the option of running one huge screensaver across all monitors, or a separate screensaver for each one! After you install DisplayFusion, you'll wonder how you ever got along with multiple displays without it! Manage a multi-monitor setup easily. Place a customizable taskbar on each monitor, complete with auto-hide and custom size/positioning. 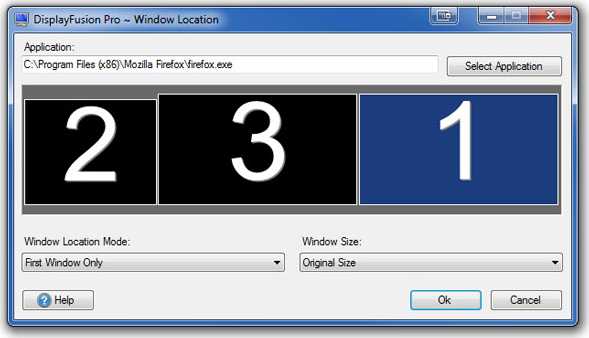 Move and resize windows across several monitors. Assign Hotkeys to perform any window movement action. Experience screensavers and wallpaper in huge multi-monitor glory. 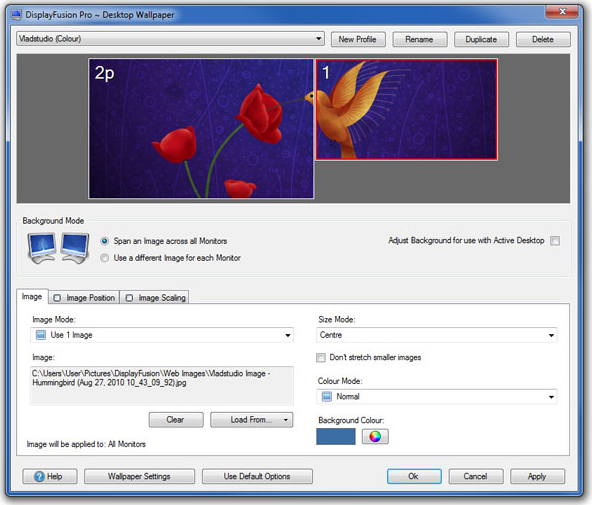 Run separate screensavers for each monitor. After you purchase DisplayFusion it may be used indefinitely. DisplayFusion is licensed per computer, and not per user. Bits User Nothing can be purchased. Please fix this!!! Bits User Sory, I'm an idiot. Purchasing works fine. Nico Westerdale Great News! Binary Fortress Software has agreed to extend this deal for another day - Enjoy! Use Your Laptop as a Second Monitor!